Did you find the perfect search result only to realize that the website is down? Did the information recently change? 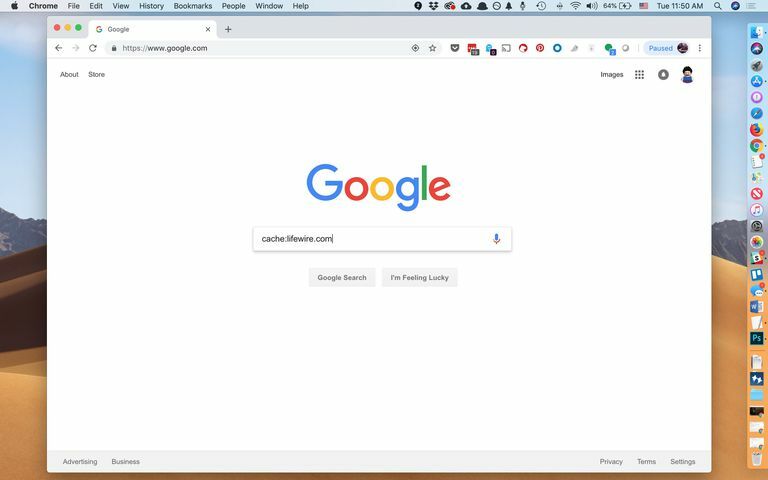 Fear not: You can use this Google power search trick to open a cached image of the page and still find the precise information you need. As Google indexes web pages, it retains snapshots of the pages' content, known as cached pages. URLs are updated periodically with new cached images. There are two ways to view the cached version of a page on Google. You can do a regular search and then open the cached version from there, or you can add one word to your Google search to immediately open the cached version. Using a normal Google search to find the cached page is as simple as performing a regular search and then clicking a link to open the cached page. Search for a word, phrase, or entire website. Locate the specific page in the results for which you want a cached version. Click on the triangle to the far right of the URL (it's right under the page title). Clicking on the Cached link often will show you the page as it was last indexed on Google, but with your search keywords highlighted. This method is extremely useful if you want to find a particular piece of information without having to scan the entire page. If your search term isn't highlighted, just use the Ctrl+F (Windows) or Command+F (Mac) keyboard shortcut to find the word(s). You can instead cut to the chase and go directly to the cached page by adding cache: just before the Google search. Open a new Google search and type cache: (including the colon). Type the URL of the page for which you want to see the cached version. This search is case sensitive, so be sure to type "cache" with all lowercase letters. Also, avoid adding a space anywhere or the search will not work. You also can leave out the standard "http" or "https" that appears at the beginning of URLs. Press Enter to immediately open the cached page. Keep in mind that the cache shows the last time the page was indexed, so sometimes images won't display, and the information will be outdated. However, depending on what you're looking for, that might not be a concern. Some pages instruct Google through use of a protocol called robots.txt to make historical pages unavailable. Website designers can also elect to keep pages private from Google searches by removing them from the site index (also known as "noindexing" them). Google only stores the most recent cache of the page, so if you're trying to access a really old page—maybe one that has changed a lot or has been offline for a long time—try the Wayback Machine.